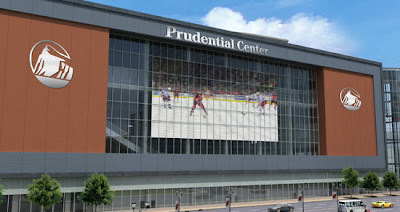 Islanders Website/AP: Has the early preview of the Islanders first visit to Newark and the New Prudential Center. The Islanders are playing their third game in four nights against a team that must be furious and ready to play their most desperate hockey of the season to date after losing to the Rangers in their new building. You have Martin Brodeur who credited everyone but the Islanders for their win last Saturday trying to get his five hundreth win at home and you have Jamie Langenbrunner back in the lineup for the Devils who scored two goals in his first game. Meanwhile you have a very predictable Islander offense that is getting most of it's scoring from Vasicek who just matched his total from last season and Satan. Comrie tipped in a shot for a goal against Pittsburgh but the finish has not been there. Either DiPietro steals a low scoring game or the Islanders breakout and their offense wins a game. Cannot go three games in this league with zero points accumulated. In the second half last year Islanders lost three games in regulation over twenty games. The words, the speeches sound great but it has to happen on the ice.